Violinist Livia Sohn, cellist Luigi Piovano, and pianist Bernadene Blaha came together to form Latitude 41 in the summer of 2009, as a result of their previous musical collaborations and mutual passion for chamber music. Since their formation they have appeared globally, to high acclaim. 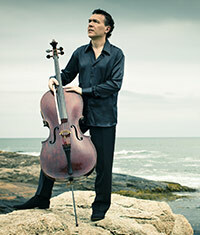 Highlights of future appearances include return recitals for Music in Deerfield in Massachusetts, Maverick Concerts in NY (America’s oldest continuous summer chamber music festival), and The Newport Music Festival in Rhode Island, as well as first-time appearances in Venice, Italy at Palazzetto Bru Zane Center, and the prestigious Music Worcester series in Massachusetts. The latitude of the trio’s first performance venue in Rhode Island, and also where cellist Luigi Piovano makes his home in Rome, Italy, are both Latitude 41. Livia Sohn performs widely on the international stage as concerto soloist, recitalist, and festival guest in Europe, North America, South America, Asia, Africa, and New Zealand. This past season saw Livia performing such wide-ranging concertos as Paganini and Bruch to Britten and Rorem, with orchestras in North Amercia as well as in China and Italy. Highlights from this season sees Livia playing Dvorak and Barber Concertos in Los Angeles and Budapest, as well as recitals in Tokyo and New York. In 2007, a concerto called “Jiyeh”, by Israeli-American composer Jonathan Berger, was written for and premiered by Livia. 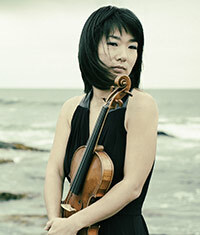 In 2011 “Jiyeh” will be released on CD together with the Britten Violin Concerto. Livia gave her first public performance at age eight. In 1989, at the age of 12, she won First Prize in the Yehudi Menuhin International Violin Competition. She attended the Juilliard Pre-College Division from the age of seven, at which time she began her studies with Dorothy DeLay and Hyo Kang. She continued under their tutelage at the Juilliard School, where she also studied chamber music with the legendary Felix Galamir. Livia plays on a J. B. Guadagnini violin crafted in 1770 and a Samuel Zygmuntowicz made in 2006. She has been on faculty at the Music Department of Stanford University in California since 2005. Luigi Piovano started studying music at the age of five with his father Antonio Piovano, pianist and composer. At the age of 17 he received his diploma with first-class honors. Due to a scholarship he won at the International Menuhin Music Academy, he performed all around the world as a soloist under the baton of Lord Menuhin. He then earned a diploma in cello and chamber music at the European Conservatoire of Music in Paris. He has recorded for EMI, Nuova Era, Opus 111, Eloquentia. He is the First Soloist Cello of the Symphony Orchestra of the National Academy of Santa Cecilia in Rome and since 2007 he has been the First Soloist Cello guest of the Tokyo Philharmonic Orchestra with which he has performed Haydn Concerto under the baton of Myung-Whun Chung. Since 2008 he is the Artistic Director of the “Estate Musicale Frentana” in Lanciano. He plays an Alessandro Gagliano dated 1710. Bernadene Blaha's "brilliant command of the piano", whether featured as recitalist, concerto soloist or chamber musician, has been heralded in performances throughout North America, Europe, Australia, Asia and Mexico. Recent highlights include performances with Netherlands’Amati Ensemble at the Concertgebouw, Amsterdam; and Schloss Mirabel, Salzburg. A highly regarded chamber musician, Ms. Blaha has appeared at The Newport Festival, Tucson Chamber Music Festival, La Jolla Summerfest, Bard Festival, Australia Festival of Chamber Music, Banff Festival of the Arts, and Festival de San Miguel de Allende, Mexico. 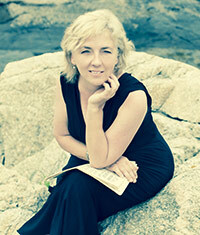 Originally from Canada, Ms. Blaha first came to international attention as a prizewinner in the Montreal Symphony Orchestra Competition; the Young Keyboard Artists International Piano Competition, Grand Rapids, Michigan; the Masterplayers International Competition, Lugano, Switzerland; and the 11th Annual International Piano Competition, New York City. This latter award resulted in two highly acclaimed recital appearances, at Carnegie Recital Hall and the Lincoln Center Library. Soon afterward, Ms. Blaha was featured in the opening orchestra concert and a solo recital at the XXIX International Chopin Festival in Marianske Lazne, Czechoslovakia, followed by solo recitals at the Phillips Collection in Washington, D.C. and in London, England. Ms. Blaha currently resides in Los Angeles, and since 1993 has been a member of the Keyboard Faculty at the Thornton School of Music, University of Southern California where she is an Associate Professor.